I have started the process of relocating all of my school stuff to my house. And what a process it is. Since my boyfriend is in Boston and I'm here in Austin I am doing all of this by myself. That means I load my car and unload the car alone. It has been exhausting. It's also been cleansing but most of all just sad. I am pretty sure that by the end of this week I will have my classroom completely cleaned out. My room for the past 5 years will no longer be mine. 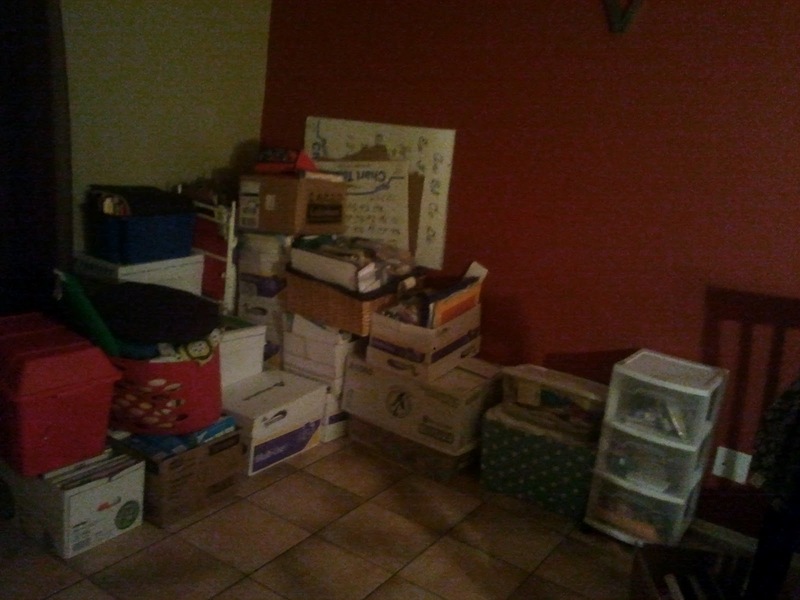 Here's a picture of my living room with approximately half of my school stuff.